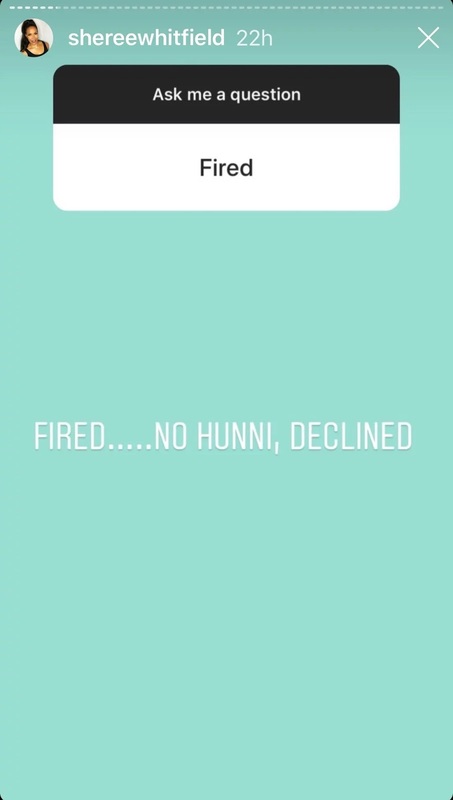 After weeks of speculation, Shereé Whitfield officially confirmed that she will not be part of the upcoming eleventh season of The Real Housewives of Atlanta when the show returns this fall. 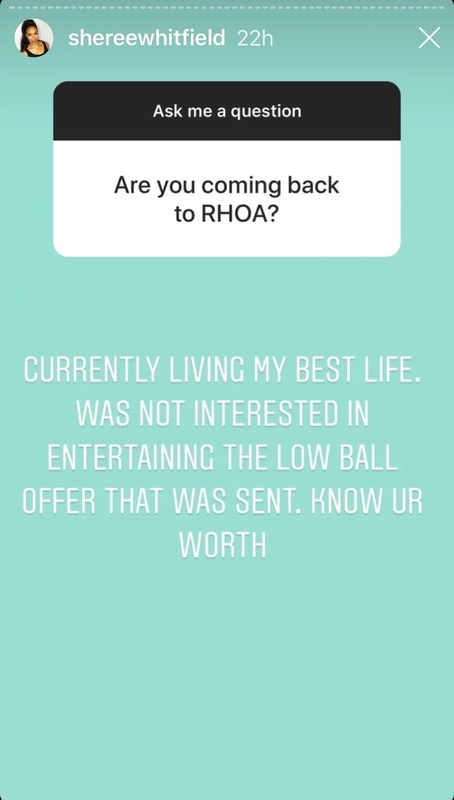 Apparently the reason why she decided to walk away from the Bravo hit reality series was due to the salary offer she received from the network. Asked if she was fired, Whitfield made it clear that she had “declined” the show. She also went on to tell fans that she wasn’t worried about money, suggesting that Chateu Sherée was in a good place, according to PEOPLE. “Don’t you fret… I’m good love!” Whitfield told a fan, teasing to another that other TV options are on the table. “You may be seeing me soon! Whitfield was one of the original cast members when the show premiered back in October 2008, starring alongside NeNe Leakes, Kim Zolciak-Biermann, Lisa Wu and DeShawn Snow. She remained with the show for four consecutive seasons, leaving before Kenya Moore and Porsha Williams joined the show in season 5. Whitfield then returned to the Bravo hit reality show as a Friend of the Housewives in season 8, and rejoined the cast as a full-time cast member for seasons 9 and 10. 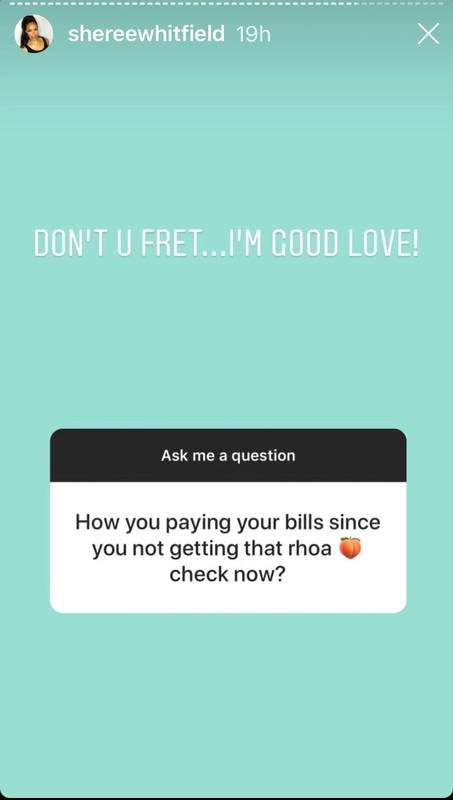 Will you miss Shereé on RHOA? Sound off in the comments below!